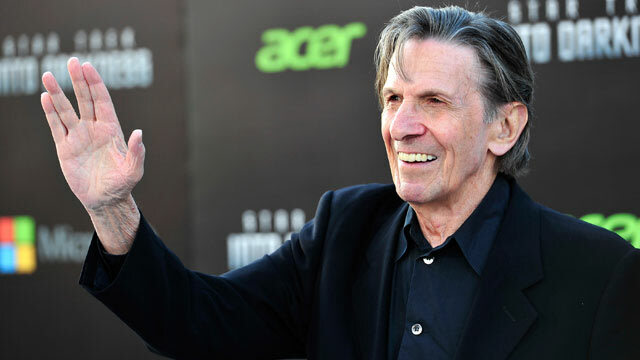 Leonard Nimoy has passed on due to complications from C.O.P.D. He was 83. While best known for his role a “Spock” on Star Trek, he also had a great five season run on “In Search Of…”, a show that explored the paranormal. One of my personal favorite television shows when I was growing up, Mr. Nimoy narrated the show that presented evidence and explored the mysteries of UFOs, ghosts, the Loch Ness monster, and my favorite, Bigfoot. Mr. Nimoy also was an accomplished director, having helmed some of the most popular Star Trek movies as well as wider-appeal movies such as “Three Men and a Baby”. Growing up in Cambridge, Massachusetts, Mr. Nimoy was a local hero who also narrated the introduction to the Museum of Science’s Mugar OmniMax theater. The delight of hearing Mr. Nimoy’s distinctive voice still resonates with me to this day. Mr. Nimoy did live a long and prosperous life, and will be missed. The ‘Reanimation Horror’ Influences of the New Movie The Lazarus Effect | WIRED. Lady Gaga has been tweeting scary things as of late. After a jaw-dropping performance of a “Sound of Music” medley at the Academy Awards, the singer has announced that she will be joining the cast of “American Horror Story: Hotel”. Normally, we would expect a star like Gaga to have a cameo a la Stevie Nicks. But Lady Gaga looks to be a regular cast member. Should be interesting, to say the least. No official word yet on the plot details for “AHS: Hotel”. If I were to go out on a limb, I would say that the story takes place in a shopping mall. Or, more likely, a haberdashery. Help Fund a Horror Movie! Do you just dig crowd funding? Want to be a “producer” for a horror movie? Then, good reader, do we have a deal for you. Astron-6’s upcoming film, The Void, needs some funding for the practical special effects. Going through the crowd funding site Indiegogo, the creators pitch practical effects in favor of cheaper-looking CGI. So we can help them create scary looking monsters! Watch their pitch and get involved! Ben Woolf, 34, an actor from the most recent season of “American Horror Story,” died on Monday in Los Angeles. Mr. Woolf portayed “Meep”, on “American Horror Story: Freak Show.” Meep was known for only being able to say one word. Los Angeles Police confirmed reports that he had been hit by a car’s side mirror in an accident on Thursday night in Hollywood. According to the website, TMZ, Mr. Woolf was struck in the head by the passing SUV. Will NBC Renew “Constantine” For a Second Season? FYI, NBC won’t decide on #Constantine renewal until May, after they see their new pilots. That will be time to activate. So what do you think? Will John Constantine be back? I’m kinda hoping that NBC moves the show to The CW so we can have Arrow/Flash/Constantine crossovers. Just imagine what they could do there. Vote for the Best Horror Movie in 2014! Welcome to the first year of the HU Awards. Normally, a horror movie would NEVER make it to the Academy Awards “Best Picture” category. Sure, there are exceptions (“Silence of the Lambs”, “The Exorcist”, “Rosemary’s Baby”, “Annie Hall”). But this nominations are few and far between. Now YOU get to choose! Was 2014 a banner year for amazing horror movies? Probably not. But there were horror movies! And that says something. The genre persists, and we are happy about that. The more horror movies that do well, the more studios want them produced. Quality writers and directors follow, and soon we’ll have another character like Hannibal Lector portrayed by a tremendously powerful actor like Anthony Hopkins. So do your part. You are the Academy! Take a moment to vote on the Best Horror Movie from 2014. “Birdman” Wins Best Picture. Do you care? Last night, “Birdman” brought home the golden statue for Best Picture. Howard Stern must be outraged today. But the real outrage has to go to films that were considered by millions of movie-goers to be their favorite. There have been precious few science fiction, horror movie or fantasy films nominated, never mind winning. Does the Best Picture have to be an artistic endeavor, or can a crowd-pleaser take home the golden statue? Neil Patrick Harris even mentioned that “American Sniper” earned more than half of the total box office earnings of all the Best Picture nominees. While this is not a steadfast rule, the tendency is to look towards dramas that have a screenplay geared for an award. There are exceptions, of course. “Annie Hall” (which beat out “Star Wars” for Best Picture in 1977, forever earning my disdain) was a comedy. Or perhaps a “dramedy”. “Birdman” can also be classified as a comedy, albeit dark. And I think you could tell this was a vehicle aimed at Michael Keaton making a last effort at Hollywood legitimacy. But let me ask you: when the blu ray of “Birdman” comes out, would you buy it? Or would you simply plop in your “Guardians of the Galaxy” blu ray for the fifth time? Dancing Groot every time. “Silence of the Lambs” is probably not considered a “horror” movie per se, but it’s certainly a thriller. Winning the Best Picture Oscar in 1991 was a delight, even though I was secretly rooting for “Beauty and the Beast”. An animated “Best Picture”? Awesome. And I didn’t care for “Beauty” all that much. I would rather have seen “The Iron Giant” win. But I digress – back to “Silence”. Lecter, Starling and crew deserved that statue, no question. And I still try to make it a point to watch “Silence” every Halloween. Seems as good a time as any. When “Lord of the Rings: The Return of the King” won, essentially, all the Oscars in 2003, I thought that we had finally hit a golden age. Perhaps the Academy was beginning to see that popular movies could also beat out tailor-made Oscar bait. 12 years later, I see little evidence that is changing. Maybe awards should be given to the films that earn the most box office revenues. They could have one for domestic, one for foreign, one for animated, one for each of the major genres. “World War Z” would have won in 2013. “Annabelle” would be taking home a statue in 2014. 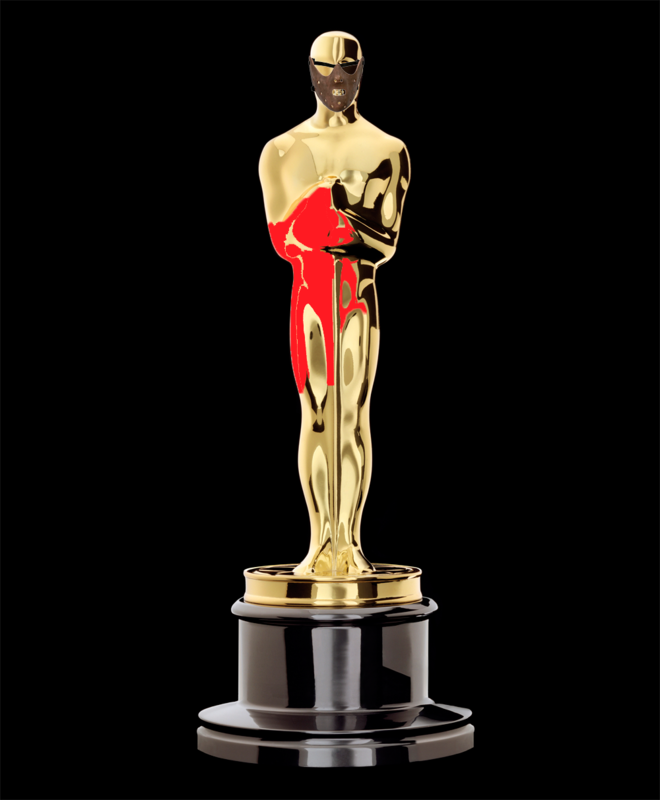 If the Oscars were set up in this particular way, I would watch. They could even have an “arthouse” category that would allow films like “Birdman” to win an award. But let’s just not forget what this is: a business. And the Academy Awards is the greatest commercial. When I go to the movies, I don’t want to be asked to make moral decisions in my mind, taught a lesson (other than good always triumphs) or become emotionally involved with the characters I’m watching on the screen. I want to forget my daily stressors and watch explosions, car chases, spacecraft, heck…even something scary. So for those of us who go to see a movie with the full intent of escapism, watching the Academy Awards can be a drag. Mostly because we’re faced with watching a roster of movies, while contain some artistic merit, wouldn’t be the first movie I would re-watch. That said, the good folks over at Dread Central have compiled a list you might think improbable: 10 horror films that were not only nominated, but WON academy awards. In 2013, a gruesome little revenge horror film made it’s way to a limited release. “Savaged”, written and directed by Michael S. Ojeda will find it’s way to a re-release and a new, more appealing title. The plot is somewhat akin to “The Crow”: an innocent deaf girl (is being deaf important to the protagonist’s character? Not sure, but anyway) is brutally murdered by a gang of ne’re-do-wells who receive their comeuppance when the spirit of a Native American warrior’s spirit takes over her body and she’s out for revenge. Look for a mid-2015 release. Here’s the trailer with it’s former title. Enjoy.